When it comes to training it can often be a case of the same old tried and tested drills, routines and scenarios. Add a new dimension to any training session with the use of Precisions Trainings Mesh Training Bib. Split the team into defence and attack, easily define your team-mates and opponents or simply wear to mark out particular players. 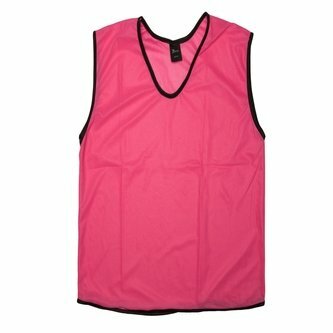 Made from 100% polyester, this lightweight slip-over bib is an eye-catching pink tone with a black trim, ready to withstand any physical play when being pulled on and off repeatedly.